Get notified when Juan Gabriel tickets are available! Juan Gabriel is a singer and songwriter who hails from Mexico and has been in the music business for more than 40 years. 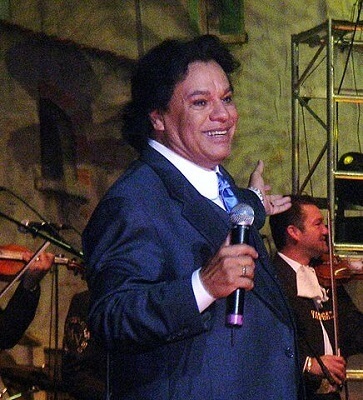 Known for his unique blend of mariachi, ranchera and Latin pop sounds, he has had numerous hits on the Latin music charts, including “Asi Fue,” “Hasta Que Te Conoci,” “Querida” and “Amor Eterno.” At the age of 66, Juan Gabriel still continues to tour, treating fans to live concerts across North and South America. To be in the audience at an upcoming show, use the links above to purchase Juan Gabriel tickets online.